Falcao: Is It Too Early To Write Him Off? Andrei Shevchenko. Fernando Torres. Radamel Falcao? Chelsea fans probably saw the club heading down a well-worn path last week when they announced the capture of the Colombian forward, a once fearsome, now injury hit big-name striker. Many are expecting him to join the ranks of Torres and Sheva, two famous examples of clinical strikers turned Blues duds. There are a few differences this time around, most notably the lack of fanfare. Falcao has joined with a mixture of grumbling and faint hope, but for years reports of him making a move to Stamford Bridge piqued the interest of most fans. A year ago the former Atletico man joined Manchester United on loan on deadline day, prompting excited chatter that he’d fire them to the title. The Red Devils spent over £20million in loan fees and wages on Falcao, and in return they got 16 shots on target in the Premier League. Obviously, that underperformance means there’s little reaction matching other big name signings of recent years. Instead, many see the forward as finished, suggesting this is Jose Mourinho’s ego gone out of control. But, should we really just accept that Falcao will be a disaster? Here is why it’s too early to be writing him off. It’s impossible to argue that Falcao was a disappointment for United last season, scoring just four times in the league. When you’re paying a forward upwards of £200,000 per week, you’d expect a much higher return than that. He did head to Manchester with baggage, after injuring himself in 2014 with Monaco. He missed the World Cup last summer, and he never really looked at full fitness last term. Given that he missed a large part of preseason last summer, that’s hardly surprising. Many experts say it can take a year to return to your best after recovering from an ACL injury, Falcao wouldn’t have been back near his best until the tail end of the season, having already played for months. Now, with a good break and a preseason to get himself ready, he should be in perfect shape for another crack at the Premier League. The league is one that many foreign stars take a while to adapt to, given the huge culture change. It didn’t help that the Colombian moved to Manchester not really knowing anyone there, dumped into a United side in the middle of a transition. He came through that year, and now his season at Chelsea should be a lot easier. He has compatriot Juan Cuadrado, plus former Atletico teammates Thibaut Courtois, Diego Costa and Filipe Luis. Those four should make his move to London a lot easier, and he’ll have a more familiar feel to life than he did at Old Trafford. Monaco’s Vice President accused Louis van Gaal of not giving Falcao enough encouragement, that shouldn’t be a problem here. With Mourinho and his former teammates in his corner, hopefully the Colombian can reproduce the performances that earnt his reputation. He’s got a point. While no one can deny he struggled last season, his track record at Porto, Atletico and Monaco is incredible. During his spell with those three, his record was 104 goals in 139 league appearances. He played 42 times in Europe for those three, scoring 38 times, which shows his impact at the highest level. That is the player Mourinho sees, and that’s the one he believes he’s just signed. It’s a much needed signing, too. 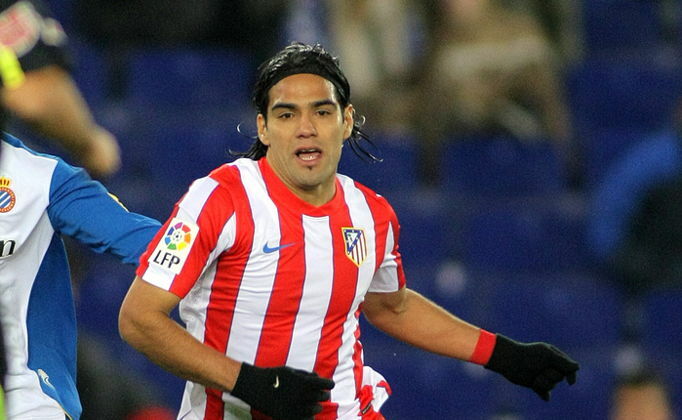 No matter what you think about Falcao, there’s no denying that the Blues were a forward short before he joined. This time, unlike the Shevchenko and Torres deals, the issue was more quantity than quality. In Diego Costa, Mourinho already has a world class forward, and Loic Remy is a capable replacement. Didier Drogba rounded out a solid front three last season, stepping in when Costa had his injury problems. Costa established himself as top dog last season, and Mourinho isn’t the type to reward that by dropping him to the bench. Any striker who comes in has to accept that they’re second choice, and that they’re basically a replacement for Drogba. While he’s a legend at the club, the Ivorian only scored four times in 28 league games last year. That’s a record that Falcao is capable of beating. Of course, he’ll need to do more than beat that record to prove to be value for money. The good news is, Chelsea won’t be wasting quite as much money as United. They were out a fortune after loan fees, wages and bonuses, with the Colombian on a rumoured £285,000 a week. Reports say that he’s taken a 50% pay cut to come to Chelsea. While £140,000 per week isn’t anything to be sniffed at, that’s a huge drop for the player to take while still in his prime, at least in age terms. Of course there are still problems here, many point out that the club could be in trouble if Costa’s injury problems rare up again. But, that’s the case no matter who comes in. Replacing what the Spaniard can do up front is almost impossible. All Mourinho can really do is hope Costa stays fit, while having a decent back up or two for the likely suspensions and extra exertions of the cups. It is hard to view this as anything other than a one year spell. Mourinho would have to work miracles with Falcao to justify triggering his £35million buy-out clause next summer. But, just because this deal will expire doesn’t make it a bad one. Signing a player who has a world class record as back up on reduced wages could easily be a masterstroke. While it could all go horribly wrong, this is the kind of test that Mourinho will relish – and who are we to doubt The Special One?